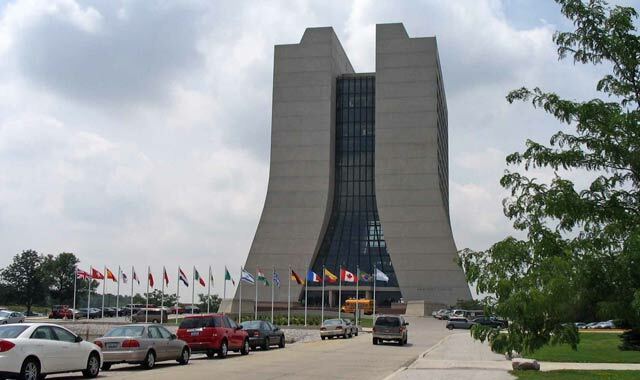 When it opened in 1967, this was known as the National Accelerator Laboratory, and founder Robert R. Wilson established the abiding principles of scientific excellence, aesthetic beauty, land stewardship, fiscal responsibility and equal opportunity. In 1974, the laboratory was renamed after Enrico Fermi, a preeminent physicist whose work led to the first controlled nuclear chain reaction, in Chicago. Fermilab physicists have discovered both the top and bottom quark, mapped the structure of protons and neutrons using neutrino beams, and located the most distant object ever observed. An active center for national and international scientific study, Fermilab is largely closed to the public, but visitors may tour two buildings on their own: Wilson Hall’s ground floor and atrium, with an exhibit and cafeteria, and the Lederman Science Center, offering hands-on exhibits aimed at junior high students. The 6,800-acre Fermilab site contains wetlands, woodlands, grasslands and more than 1,100 acres of reconstructed tallgrass prairie, where scientists have observed 10 species of frogs, 55 species of butterflies, 90 species of moths and 280 species of birds. Visitors may walk along a couple of prairie trails and view the site’s herd of 30 buffalo. Its buildings feature cutting-edge architectural design; architectural landmarks include a concrete Archimedes Spiral and a distinctive series of high-voltage transmission lines that resemble the Greek letter pi. Throughout the year, Fermilab hosts a variety of cultural events that are open to the public. Performers range from pop singers and international dance troupes to classical chamber orchestras; there are lectures, an art gallery, even folk dancing at the Village Barn. Group tours and school field trips may be scheduled. From October to April, Fermilab’s site is open to the public daily from 8 a.m.-6 p.m., and in summer until 8 p.m. Be sure to check the website for possible security restrictions and directions for entering the site. The story of this Romanesque-style castle is as amazing as the structure itself. Theodore Bettendorf, who emigrated from Luxembourg to America at age 17, purchased a three-bedroom frame house on a bluff overlooking Hwy. 14, in Fox River Grove, in 1931. Inspired by the Castle Vianden back home on the Rhine River, he first encased his house in stone and mortar, and then began constructing his own replica of Vianden, using a postcard as his guide. Bettendorf not only hauled stones from local quarries and nearby fields but also quarried them himself, sinking two mine shafts that eventually became the dungeon and guard tower. He also dug his own well. By the time of his death in 1967, Bettendorf had created a Romanesque castle and grounds, complete with a moat and working drawbridge, turrets and keeps, parapets and battlement walkways, a courtyard with a fountain and wishing well, a garage and coach house. A machinist by trade who commuted by train to the city, Bettendorf built it all himself, on nights and weekends. Architects have dubbed it architecturally perfect – every circle is a perfect circle, every tower and wall perfectly straight. 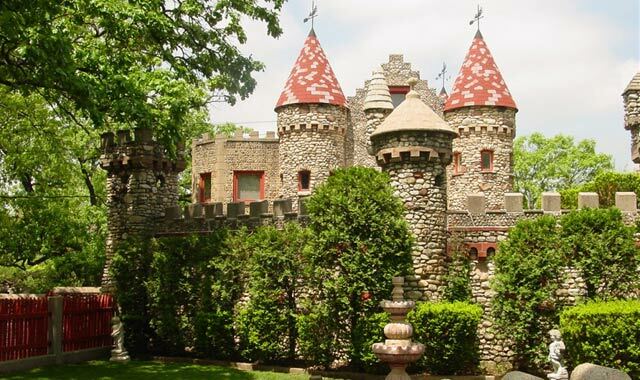 Michael and Judy Strohl purchased Bettendorf Castle in 1985 as a private residence. 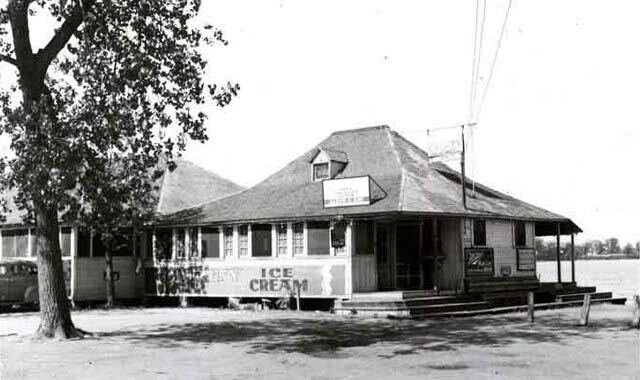 It was plaqued by the McHenry County Historical Society in September 2011. Although still a private residence and closed to the general public, the Strohls recently began to host private group tours of the castle’s exterior and grounds. For more information about scheduling a tour, visit the website or contact Jaki Berggren, group sales manager with the McHenry County CVB, at (815) 893-6280. This former train depot along the Soo Railroad Line was relocated from downtown Mundelein to its current location in 1983. After its restoration, it was reopened as Fort Hill Heritage Museum, on July 4, 1987. 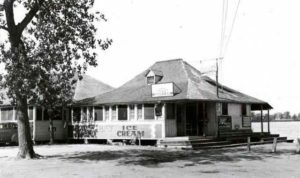 The name dates back to the early 1800s and the area’s first settlers of the village of Fremont (now Mundelein). With its high elevation, they thought it was a natural place for a fort, and although one was never built, the spot became known as Fort Hill. The museum is home to the Historical Society of Fort Hill Country, which maintains and operates it, in cooperation with the Mundelein Park & Recreation District. In addition to depot artifacts, such as an original baggage cart, a huge safe and an 1890s caboose, its collection includes pioneer tools, war uniforms, wedding dresses, Mundelein’s first fire hose cart, a flintlock gun, antique maps and photographs, vintage quilts, Diamond Lake artifacts and more. The museum is located at Lions Field and admission is free, although donations are accepted. It’s open on Saturdays, March through December, from 1-4 p.m., and group tours can be arranged. This entry was posted on Tuesday, September 25th, 2012 at 11:00 am	and is filed under Genuine Northwest. You can follow any responses to this entry through the RSS 2.0 feed. Both comments and pings are currently closed.